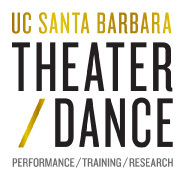 As Production Manager, coordinates, schedules, budgets and facilitates departmental productions including full-length plays, dance concerts, students directed productions, one-act plays, original scripts and workshop productions and presentations. Completes general planning of the season including planning all aspects for each production. Works closely with other staff, faculty and students in the operation of the back-of-house. Schedules and supervises technical theater personnel staff. Recruits, teaches, supervises, and evaluates students and limited hire stage managers. Schedules the use of various facilities including four theaters and nine rehearsal rooms for production, class related activities, and special events. Provides access to departmental spaces and issues keys. Serves as departmental safety representative.